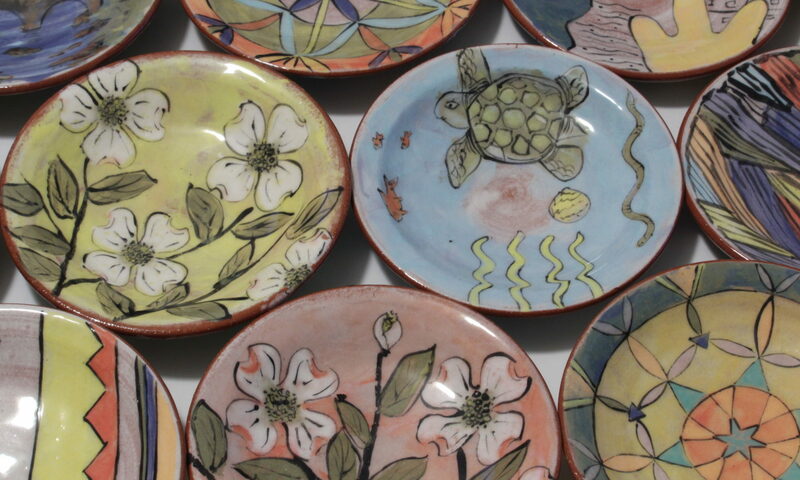 Welcome to Hardwick Handmade, a pottery in Richmond, Virginia. 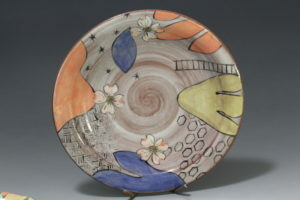 All pottery is hand made and hand painted by Matthew Hardwick. 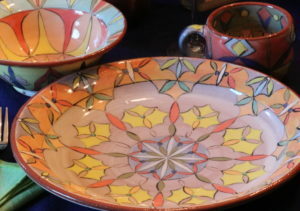 A colorful palette of bright underglazes depict designs and images which cover the front and back of each piece of pottery. 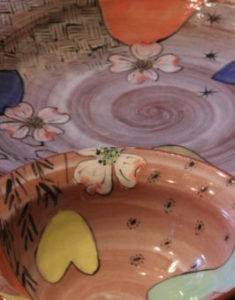 Each piece is food and dishwasher safe and will ship for FREE to all continental US addresses. Outer US and other worldly destinations will ship for cost. Matthew has over 30 years experience in manufacturing and production. I hope you like what you see. This site is under construction, but a store will surface again soon. I hope you love the work as much as I do. Thanks! The wildflowers I find hiking and camping in and around Virginia inspire my imagery. 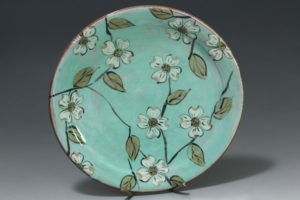 So far, this series includes Bloodroot, Dogwood, Redbud and Trillium designs. email hardwickhandmade@gmail.com to order from this series. Over the years I have been lucky to not only travel to Hawaii, but also see native green sea turtles frolicking in the waves. I have swum with them and watched as they eat algae and sleep on the beach. They are such a peaceful creature it is a joy to be around them. To order from this series email hardwickhandmade@gmail.com and indicate what pieces you are interested in. Eastern Songbirds is a new series that includes the Chickadee, Titmouse, Goldfinch, Red-Headed Woodpecker and Cardinal. From my yard to your house this series is in dept to the suburban garden and all the individuals who feed the birds. Email hardwickhandmade@gmail.com to order. Order by piece or place setting. Pricing is by piece and is listed below. Though some imagery calls for a specific background color, most can have the background color changed or altered. The background color palette includes black and white, dark yellow, bright yellow, sea green, hemlock green, olive green, chartreuse green, dark blue, turquoise blue, dark red, bright red, dark orange, light orange, saturn orange, gold brown, wood brown, violet, lavender, pink, fleshy pink and sage grey. Some colors are mixable, so ask if you have a preference or a color to avoid. Prices include tax and free shipping in the Continental United States. Below are additional images of the pottery and prices to give a better idea of the size and cost of the work. 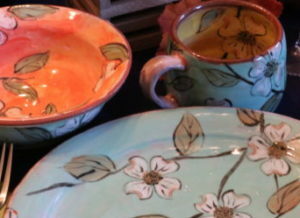 Pottery is not just something Matthew does- It is a passion- an obsession. 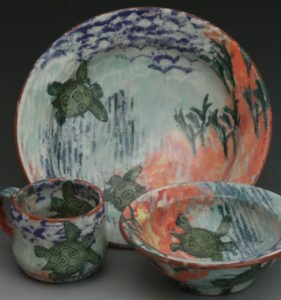 Born and raised in Virginia, Matthew Hardwick started making pottery in 1986 in high school before continuing this medium at James Madison University. Following a friends advise he moved to Northern New Mexico in 1993 to explore and experience the Southwestern United States. Preparing for the move he discovered that Santa Fe, New Mexico would be a perfect fit for an adventurous artist ready to feed a hunger for creativity. This whim to see something different, made him grow as an individual and opened his eyes to the diversity and complexity of the world around him. Altogether, Matthew enjoyed fifteen years in Santa Fe. There he honed his skills in ceramic production, building upon his love of clay completely committed to the community which embraced him. 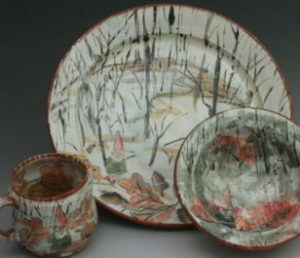 He worked at multiple potteries where he learned the fundamentals of making and designing pottery. He hiked extensively in the desert and the Rocky Mountains and built connections with individuals that will last a lifetime. In the midst of his time spent in the Southwest, his life led him to Denver, CO and finally to the Aspen Valley where he worked at a non-profit not only learning, but teaching K-8th grade students pottery, tile work, organic gardening and resource efficient construction. Permaculture and energy efficiencies became an important part of his life and remain so to this day. 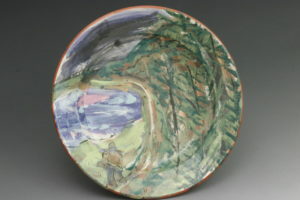 There important ceramic artists entered his life, ones that not only encouraged him as an artist and as an individual, but ones that made him proud to be an artist and maker. 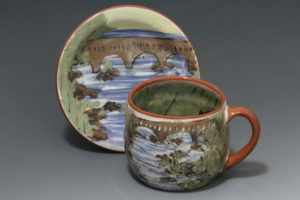 Boom, he wound up in Lincoln Nebraska; one of the premier ceramic graduate programs in the United states where he studied with Gail Kendall, Eddie Dominguez and Pete Pinnell. Guest artists were brought in from around the world, but it was his peers who on an every day basis, tested him whether he liked it or not. He achieved a Masters degree in Art from the University of Nebraska-Lincoln. 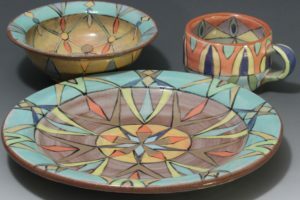 Afterwards, he moved back to Santa Fe, New Mexico and reestablished his pottery career. 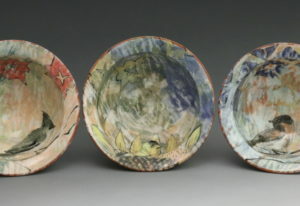 His experience and contacts allowed him the honor of teaching at Santa Fe Clay and the American Indian Art Institute. He got his old job back where his education in pottery production culminated in daily contact with Jenny Lind and Allen Walter. Their guidance in seemingly how to make pottery and art, but really how to work with people and treat people made a huge impact on how he lives his day to day life. Eventually, he established a new career in manufacturing which built upon his creative knowledge and not only taught him efficiencies and cost reduction techniques, but how to implement them in the workplace. It was a step he felt he needed to grow his managerial skill and the size of his paycheck. As a production and quality manager he spent four years remotely managing an office in Northern China and another in Hong Kong. Long days and nights taught Matthew a great deal about what he wants and doesn’t want in his life. Currently, he has moved back to Virginia, close to where it all began for him, but not too close if you know what I mean. 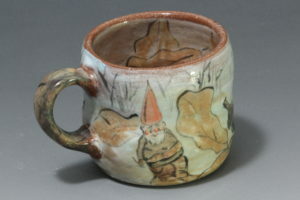 His proximity to friends and family pleases him as does the time he has to make pottery and promote this business. Please, see the Curriculum Vitae for more information. Hardwick Handmade is currently produced at Matt Hardwick’s home in Richmond, VA. Please, contact Matt Hardwick for any question or need to purchase an item.